After seeing my buddy do this on his DR-Z I thought I would try to make axle sliders out of roller skate wheels. 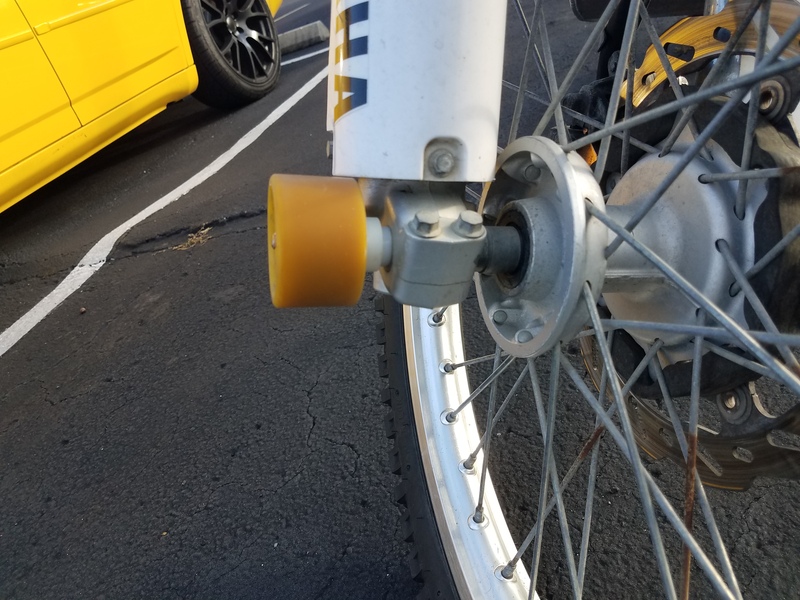 Usually this is done with skateboard wheels, but since the whole point of this mod is to save money and I had roller skate wheels lying around, that's what I used. I started by measuring the inner diameter of the axle bolts and found the front to be around 8 mm and the rear to be ~10 mm. I decided on using 5/16ths all thread to make the main shaft. I cut it down to the length of the axle+ width of the slider wheels + 1 of each Nylon spacer. The front shaft was cut to 320 mm while the rear was cut to 350 mm (I left extra length just to be sure). Then I measured the width of the axle nuts so I could compensate the other side with spacers. The measurements were close enough to 10 mm so I opted for 15 mm of spacing which allowed the wheels to also clear the fork guards up front. The order of parts assembled is: Lock nut -> washer -> grommet -> roller skate wheel -> washer. The grommets probably aren't necessary, but since the cores of roller skate wheels are hard plastic I figured why not. Looks great. 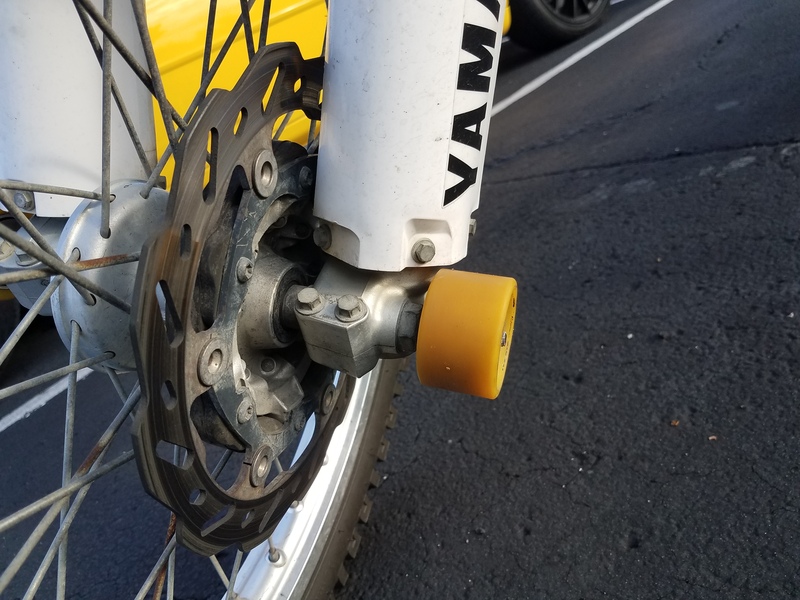 I remember my buddy used skateboard wheels also as axle sliders.